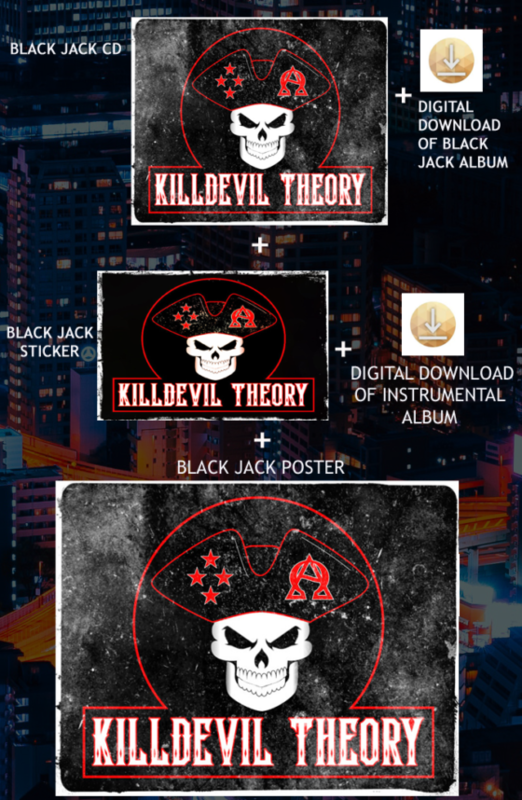 Pre-Order your FREE copy of KillDevil Theory’s “Black Jack” CD including 11 songs and we’ll throw in a band Poster and Sticker sent to your door! PLUS get the album and the companion instrumentals album by download! Just help cover shipping and handling & we will send it right to your door. Get All of this shipped to your door and your inbox!! HERE ARE SOME OF THE SONGS FROM KILLDEVIL THEORY!! YES! Send me a BLACK JACK CD! Also, get the CD autographed by the band or a personal message made out to you- Just click the options box below! !